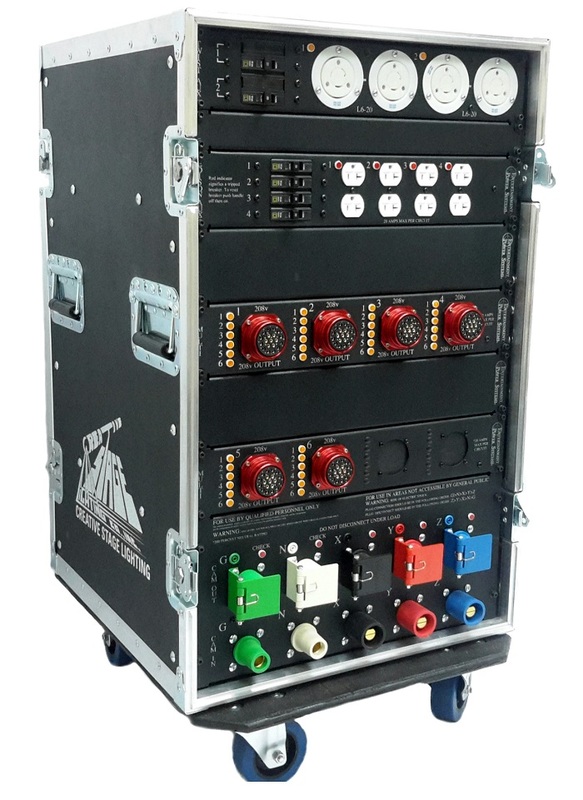 Entertainment Power Systems UL-listed power distribution racks provide a safe, reliable, portable power distribution solution. Each distro is made in the USA from top quality components for maximum safety and durability. Dual neutral mains connectors, indicator lights, test points, laser engraved panels are just a few of the many features. All mounted inside a rugged Northern Case ATA-style rack case on casters, for safe, easy transport and use. Whatever your power needs, count on Entertainment Power Systems. Designed with the video wall in mind. Twenty four circuits at 208V at 20 amps per circuit also including six circuits of Edison Duplex connectors. If you need a plethora of 120VAC circuits then this distro will do it for you. 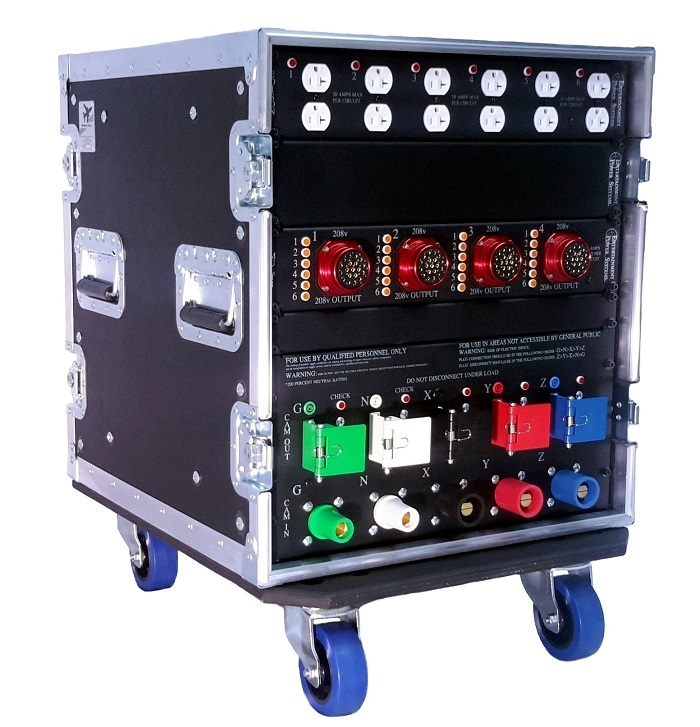 19-pin multi connectors with red neon indicators front and back can provide you with 36 circuits for your backline, audio, and lighting needs. We call it the Large Combo. Everything you need to power your lighting and audio systems. 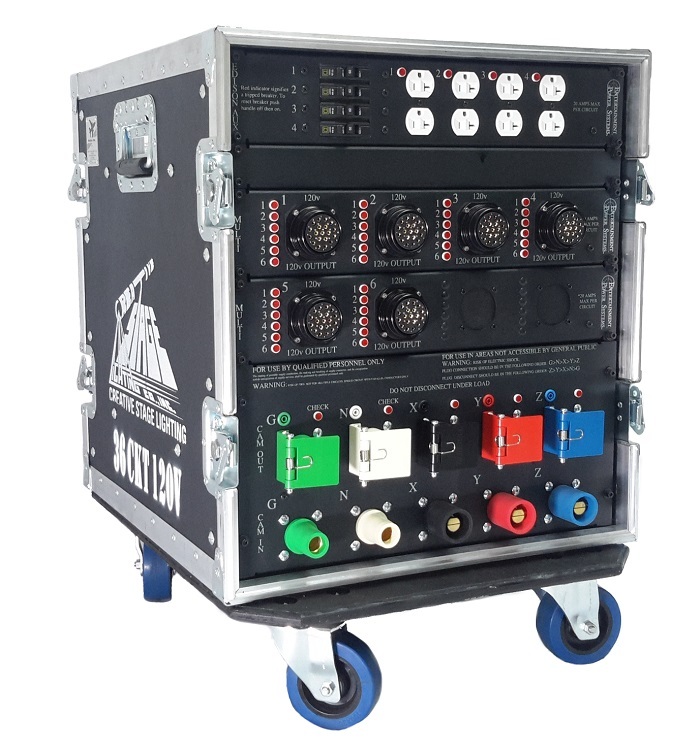 Twenty four circuits of 208v and twenty four circuits of 120v 19 pin multies provides power for your movers and line array system. Don’t hesitate to throw in the backline power needs. Got a lot of movers or a big video wall? This 36 way will accommodate your needs. With 36 channels of 20 amp / 208VAC power at the ready you can power on average 36 individual movers or 72 movers paired – typically you can power 300+ video panels at 208VAC. Need a custom EPS distro for your specific application? We can do that too! 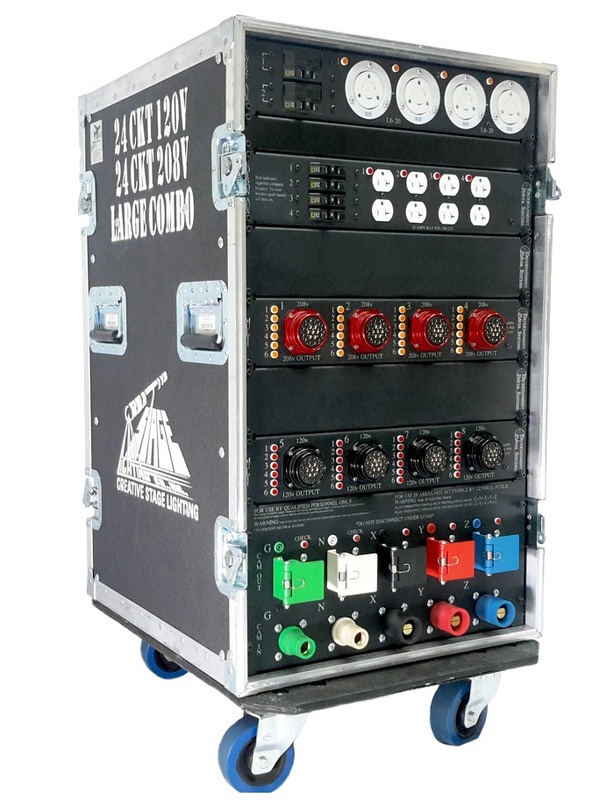 Get in touch with your CSL sales rep, or call us at (518) 251-3302 to get started on your custom UL listed EPS portable power distribution rack!